Philips Zoom Whitening is a gradual teeth whitening treatment that helps you get the brightest, whitest smile in the safest possible way. Over 10 million people worldwide have been professionally treated with this unique whitening program and soon, you’ll be joining them! Philips Zoom has also been featured on The Today Show, Extreme Makeover, Entertainment tonight and more. If you book your teeth whitening treatment during December, and purchase the home whitening kit, you will receive a free consultation and have your moulds made to measure by our dental professional – leaving you with a custom whitening tray that perfectly fits the contours of your teeth. 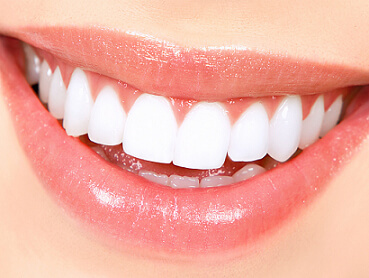 And because ‘Whiter than white’ is the common response we receive from our clients when asked about expected results, we’re giving you a free laser teeth whitening treatment two weeks post treatment! This means you get a free laser teeth whitening treatment two weeks after your two week home teeth whitening kit. We like to think of this special offer as our way of helping you achieve maximum whitening this Christmas. It’s important to have the initial consultation with our dentist so as the right concentration of whitening formula is recommended and you are made aware of possible side effects involved with the treatment. Everyone responds differently to whitening, and sensitivity is sometimes a side effect of whitening treatments. You can ask our dental professional about sensitivity toothpastes like Fluoridex before and after your treatments, or mild desensitizers like Relief ACP to further minimize sensitivity during your free consultation. With Philips Zoom White, your smile will be noticeably whiter fast, with maximum results in just seven to 14 days. The benefit of using the home whitening kit is that you can fit your teeth whitening around your schedule with the security of your custom whitening tray. Because your whitening tray perfectly fits your teeth, you get same bright results across your entire smile. Achieving great results without having to visit our clinic. You will only have to wear your trays for 15 to 30 minutes twice daily, depending on the formula recommended by our dentist. Results are not as instant with home teeth whitening kits, but you will still have visibly whiter teeth in 3 days and fantastic results after 2 weeks. Don’t worry. Philips home whitening kits have been specially designed so as you can start and stop your whitening programme to accommodate your busy schedule. The Philips Zoom Whitening treatment is the only take-home whitener with the power of three — ACP (amorphous calcium phosphate), fluoride and potassium nitrate. That means it’s making your smile healthier as it whitens by improving your enamel, which will be smoother and more lustrous by the time you finish treatment. Christmas is fast approaching, so contact us today and book your teeth whitening treatment – we’ll have your teeth looking whiter than snow! As your mouth area will be the center of attention after your treatment, why not consider some of our other treatments to enhance your smile? Debbie Mills, with over 18 years experience in administering lip injections and dermal filler injections is available for bookings throughout December.